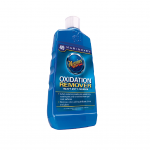 Oxidation Remover heavy duty cleaner – safely removes moderate oxidation, waterspots and scratches from gel coat surfaces. 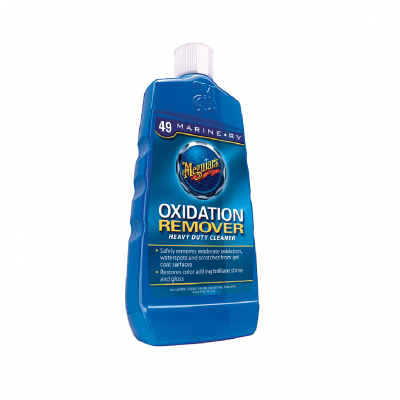 Restores colour adding brilliant shine and gloss.No.49 oxidation remover restores the original colour of older fibreglass gel coat surfaces by effectively removing surface degradation. Formulated with enriched feeder oils to enhance the finish and unique ‘ diminishing abrasives’ that break down and safely disappear during application.Directions for machine use: Shake well, always apply on a cool surface in the shade. Working one section at a time, dispense product on a clean surface. 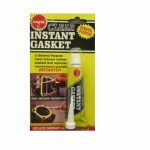 Do not apply to vinyl, rubber or cloth surfaces. Using moderate pressure on the buffer spread the product evenly over the surface overlapping movements, to ensure uniform coverage. Work product until nearly dry. 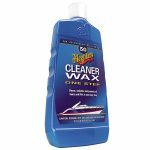 Immediately wipe dry with a seperate clean, 100% cotton, terry cloth towel or microfibre cloth.Directions for use by hand: Shake well, always apply on a cool surface in the shade. Working one area at a time, dispense a small amount of product on a 100% cotton, terry cloth towel or microfibre cloth and rub thoroughly into surface. 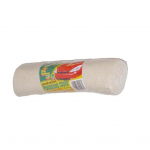 Immediately wipe dry with a seperate clean, 100% cotton, terry cloth towel or microfibre cloth. 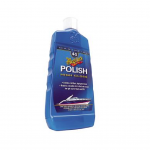 Do not apply to vinyl, rubber or cloth surfaces.Bottle 473ml.